Glencore chief executive officer Ivan Glasenberg is said to be planning to retire from the commodities trader and miner in three to five years, and has even begun training a small group of front runners to take over the post. Glasenberg (62), whose strategic brilliance has made Glencore’s — and his own — prodigious fortune, is coaching three to four people to succeed him in the job, Bloomberg reported without disclosing the names of candidates. Born in South Africa, the executive joined the Swiss company in April 1984 and has held the top job since 2002. Glasenberg has shown an insatiable appetite for risk ever since. The best know example of it was perhaps the way he led the 2013 debt-fuelled takeover of Xstrata, which formed a company that had at one point a market capitalization of $65 billion, now sitting at about $44 billion. Born in South Africa, the executive joined the Swiss company in April 1984 and has held the top job since 2002. The takeover, initially planned as a merger of equals, became the fifth-largest in the history of the natural resources sector, ranking alongside the mega-mergers between Exxon and Mobil, BP and Amoco, Chevron and Texaco and Total and Elf, which transformed the oil industry in the late 1990s and early 2000s. 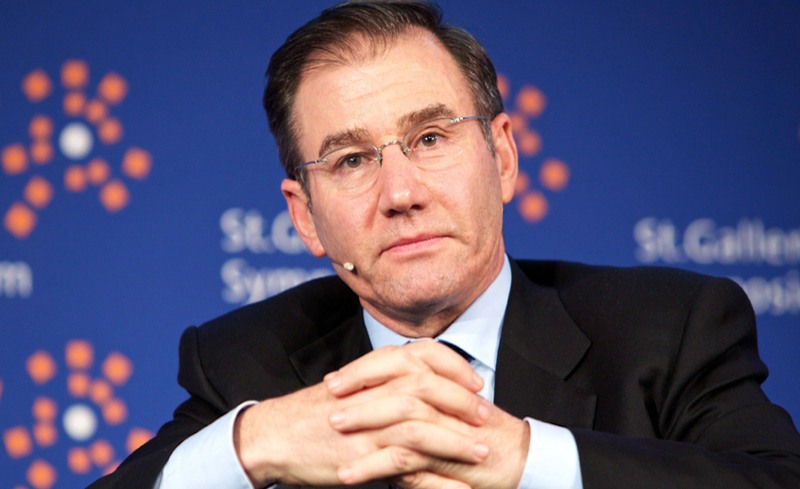 Speaking after the publication of annual results in February, said to be Glencore’s best yet, Glasenberg said the company was on track to generate around $10 billion of free cash flow this year, which could be used to pursue more acquisitions if opportunities arose. Last year, the company stroke deals worth more than $4 billion in copper, oil, zinc and coal. This left Glencore clearly more exposed than any of its peers to battery minerals, particularly copper and cobalt, which are needed for electric vehicles and other new technology. And the company expects to produce even more of those metals over the next three years, with anticipated output growth of 25% for copper, 30% for nickel and 13% for cobalt. Glasenberg, who is currently Glencore's second-largest shareholder with an 8.56-percent stake, according to Refinitiv Eikon data, doesn’t plan to sell his shares after retiring.